EverEden soft 3″ talalay latex topper for our Split Queen bed. Home → Latex → EverEden soft 3″ talalay latex topper for our Split Queen bed. 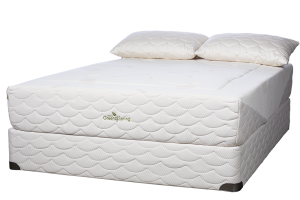 I am interested in an EverEden soft 3″ talalay latex topper for our Split Queen bed. That will require two toppers 30″x 80″, three inch thick with covers. I’m thinking probably a softness of 19 ILD plus or minus. Can you make these and if so, what would the price be? We sure can get that for you. The up-charge for splitting a queen topper is 25%. This special size is not available to order on-line.